If you want the latest news in the hobby, we’ve got a new location for you. You need to go to BlowoutCards.com. After more than two years and nearly 3,800 stories posted here on The Buzz, we’re joining the main site as our own section on the revamped BlowoutCards.com that launched this morning. We still have some boxes to unpack and things to tweak both here and there, but we’ll continue to keep things Buzzing there daily and give you everything you expect … and more. This site will remain active for some time, too, as we get things going there — we just won’t have new stories posted right here. For the newest stuff, click here. What’s Buzzing Today: It seems like the Cleveland Cavaliers have traded everybody but LeBron — and it has the boards buzzing with the NBA trade deadline here. As previously noted here on The Buzz, Panini America’s first baseball card release of the year will include autographs of new Los Angeles Angels signee Shohei Ohtani. But now we have the specifics for 2018 Donruss and the cardboard to prove it after the former Nippon Professional Baseball star signed for Panini last week. The CGI isn’t done? Who needs CGI when there are toys … err, action figures. That’s the early sentiment in a new teaser trailer for Deadpool 2 that dropped today that lets “The Merc With a Mouth” introduce viewers to a big player in the Marvel Comics universe who’s making his big-screen debut in this one. It’s Cable — and he’ll apparently be sparring with Wade Wilson and company in the film. Imagine a world where New York Yankees star Aaron Judge had just a single product where you could find his one Rookie Card and one rookie autograph — okay, okay, throw in some parallels of them and maybe a variation or two to make it a more realistic scenario. What might those sell for? How tough would that wax become over time? It’s something to ponder. That hypothetical is much, much closer to reality for Olympic athletes and the heavy focus on the few cards they do have gets amplified a million times over during the Olympic Games, no matter whether they are of the summer or winter variety. While we’re still on the cusp of this year’s Winter Olympics, some of the notable first-time autographs already are selling very well — but there’s clearly room for more as they become true household names. 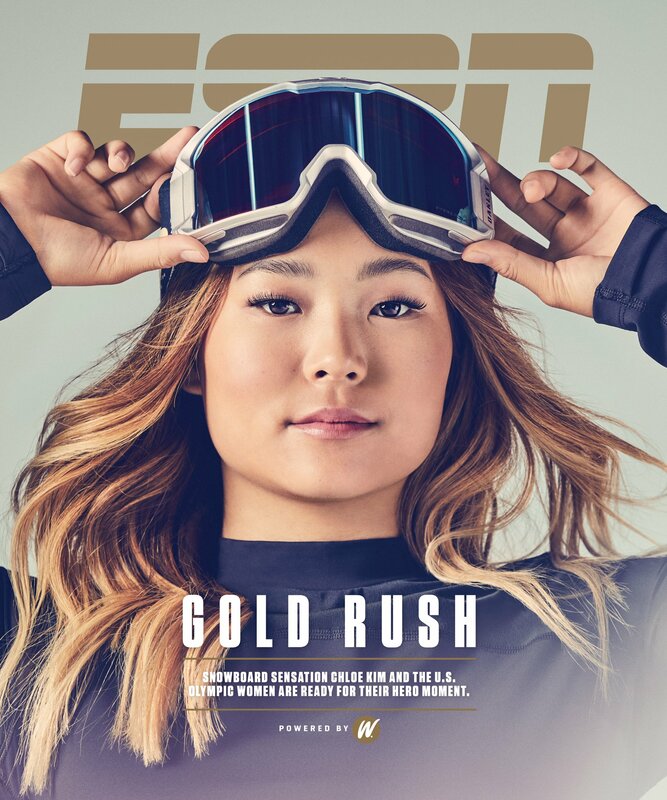 One of those likely names belongs to 17-year-old snowboarder Chloe Kim, who’ll appear on the cover of ESPN The Magazine‘s Olympics Issue dropping on Friday when the Winter Games open in South Korea. The Kim 2018 Topps U.S. Winter Olympic Team & Hopefuls Gold autograph (/25) you see here already sold for $199, which seems low compared to the hype that already comes before she takes to the halfpipe and her dominating success in the Winter X Games. It’s also impressive considering it comes from a box guaranteeing ink that’s presently less than $75. What’s buzz-worthy: Optic arrives with an on-card autograph for every Rated Rookie and a rainbow parallel that should make for some rim-rocking reactions. Keep reading for more info and a gallery of what’s to come. He might be best-remembered as the curmudgeon father of Frasier Crane on NBC’s Frasier, but decades in acting only led actor John Mahoney to appear in a number of memorable roles. But only one led him to appear on baseball cards. The actor died on Sunday at 77 after a brief health battle, years after he played William “Kid” Gleason, the manager of the 1919 Chicago White Sox in Eight Men Out. Shohei Ohtani autographs are on the way … but which one arrives first? Shohei Ohtani autographs are on the way and there’s only one question left for Topps to reveal. If you’ve ripped into packs of 2018 Topps Series 1, odds are that you’ve seen one insert that you may not realize is a bit different than the rest. It’s the Topps Home Run Challenge, which is a new contest card (one per hobby box) that weaves some fantasy baseball elements into your collecting experience in one simple way — predicting home runs. The Jake Lamb card you see here? It’s what I found in a box of 2018 Topps that I ripped yesterday, so I opted to see what it was all about.